Tour areas that served as home for some of the worst and most notorious criminals in the Charleston area with Haunted Jail Walking Tour in Charleston. Take a thrilling and chilling tour through Charleston where you'll be treated to lore and legends covering the criminals who lived and died in this legendary jail. You'll be treated to thrilling stories including that of John and Lavinia Fisher who owned a hotel in the 1800s and were known to poison their guests. Today, Laviania still walks the halls of the area and loudly lets guests know she has arrived. Known as one of the scariest places, the Charleston Jail has been featured on the hit television series 'Ghost Adventures' where some of their spiritual activity was captured and investigated. You'll be treated to the hauntings that happen regularly which may include moving objects, voices, slamming doors, rattling chains and so much more. This tour requires reservations in advance. Tours are conducted regularly at 7pm, 8pm, 9pm and 10pm. The tour includes all fees and taxes in the price. 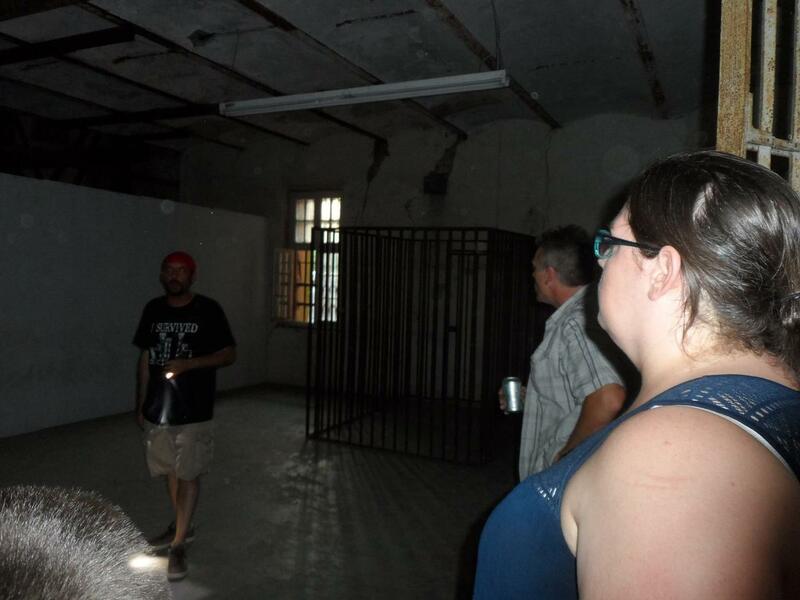 A professional guide will walk each tour through the jail telling the history of the area as well as the paranormal phenomena that is known to happen. The tour includes entrance to the entire jail and jail cells. Transportation to and from the attraction is not included. This tour is not wheelchair accessible. Step outside your comfort zone and into the notoriously haunted Charleston jail where the spiritual activity is sure to make your hair stand on end with Haunted Jail Walking Tour in Charleston. The Haunted Jail Tour takes you through the cells, hallways, and into the places where Charleston's worst criminals lived and died. Brace yourself as you hear stories like the legend of Lavinia and John Fisher, hotel owners from the 1800s who supposedly poisoned their guests. Featured on such shows as Ghost Adventures, the story goes that Lavinia's ghost still, very audibly, haunts the premises. This Haunted Jail Tour is quite possibly the scariest place you will ever go! Open often to the public for arts events, the jail even gives locals an eerie chill down the spine as soon as one steps foot into the space. Visitors go as far to say they've seen objects move or even disappear, while others hear voices, the slamming of doors, or chains as they're allegedly dragged against the floor of the jail.